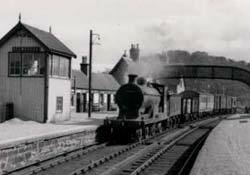 Timespan’s Archive holds a unique collection of over 11,000 documents and images spanning the last 250 years of the history of Helmsdale and the surrounding parishes of Kildonan and Loth in Scotland’s Far North. Treasures of our Archive range from estate records to shop receipts, from blow-by-blow accounts of dramatic coastguard rescues to school photographs, and changing scenes of Helmsdale from the late eighteenth century to the present day. We also have census and tax records that can be used to trace family histories. Subject areas covered include: education, customs and traditions, Helmsdale Highland Games, Seine Net Queen, Girl Guides, Boys Brigade, crofting, sea fishing, river fishing, railway, lifeboats, First World War and Second World War. Our Archive can be searched using the online catalogue: https://timespan.org.uk/visit/archive/. Copies of many of our holdings are also available to browse in the dedicated Archive space in our building. The Archive is open for self-guided access during our standard opening hours – see https://timespan.org.uk/visit/ for details of our current opening times and directions. There may be some records that we have not yet scanned or copied – if you would like to see these please arrange an appointment through the Front of House team. Timespan is a cultural organisation in Helmsdale, Sutherland. We offer a high quality venue with a museum, contemporary art gallery, archive, shop and cafe. We provide a rich cultural programme of events and activities for the 15,000+ people from near and far who visit us every year. This archive entry was last updated on 26 March 2018. Information incorrect or out-of-date?